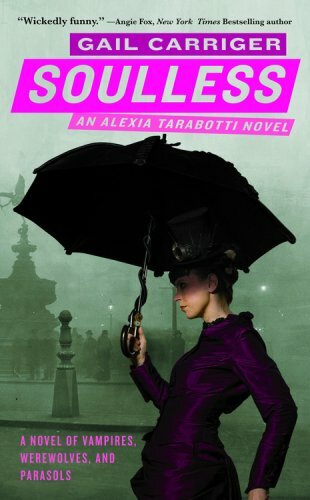 This entry was posted in Uncategorized and tagged cover art, gail carriger by janicu. Bookmark the permalink. Absolutely cool! I’m going to check out the review. You should get the book. I think it’s going to be a popular series. You discovered our secret! Actually, I have an great little “power of social media” story about how the cover came to be and the result – which is that Donna (the model and owner of Clockwork Couture) and I are now friends. I’ll tell it to you sometime, if you’d like. She’s actually working on making a fuchsia colored dress to sell, just like the one on the cover. She’s also still my model, she just finished the photo shoot for the third book. And third book cover? Wow, they plan ahead!